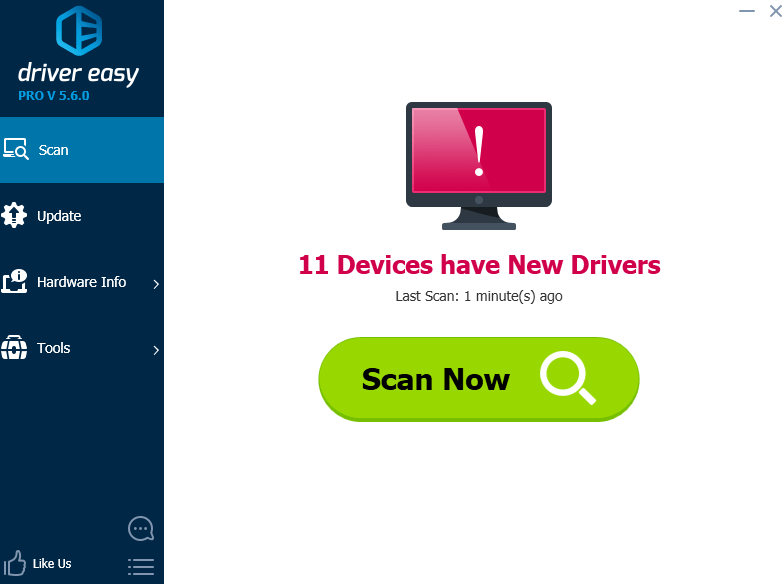 Driver Easy updates your network card driver and fixes the tcpip.sys immediately! If you’re working hard for an already delayed task, and all of a sudden, your Windows computer goes into blue screen, showing the error code tcpip.sys, leaving you nothing but the urge to burst out million ‘what the heck’, you’re not alone. Many Windows users are reporting to run into this problem as well. But no worried, it’s not at all a problem hard to fix. Here are 3 methods for you to try. You may not have to try them all; just work your way down until you find the one works for you. Why would I have the tcpip.sys blue screen of death error? tcpip.sys, with the bug check code 0x100000d1, is usually related to faulty network card driver. To be more exact, this blue screen of death error happens because of a rare condition in the TCP/IP driver where TCP segments are received on different processors. At times, software or applications conflict could also be the cause of this problem. 1) On your keyboard, press the Windows logo key and S at the same time. Type cmd and right-click Command Prompt and click Run as administrator. 2) Click Yes at the UAC prompt. Press the Enter key on your keyboard when you finish pasting the command. 4) Restart your computer after the change. 5) See if the tcpip.sys blue screen error happens again. If not, then congrats, your work is done here. If it still happens, please read on and try the other options. As mentioned, the tcpip.sys issue has a lot to do with the TCP/IP driver. So if the first method doesn’t work for you, we highly recommend that you try to update your network card driver. 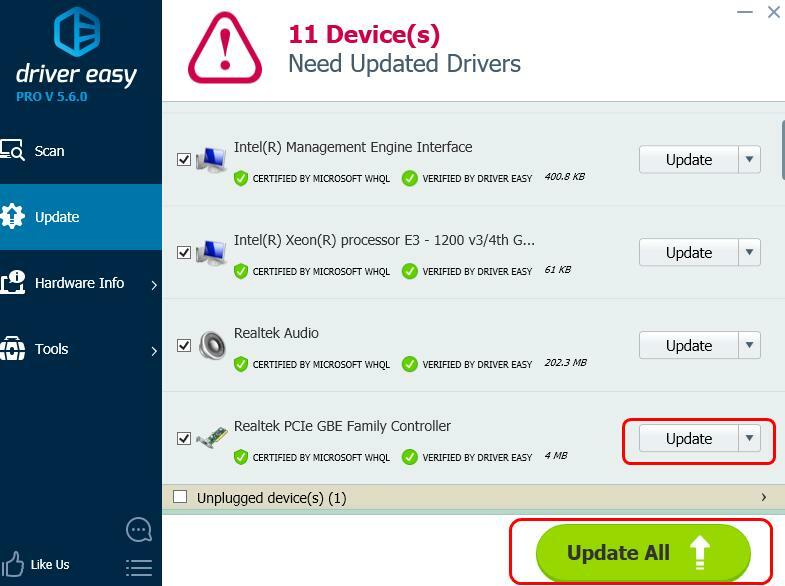 There are two ways for you to update your network card driver(s): manually or automatically. Manual driver update – You can update your network card driver manually by going to the manufacturer’s website and searching for the most recent correct driver. If you have a USB wireless card, you need to update the USB port driver as well, and sometimes, updating the CPU chipset driver is also necessary. 3) Click the Update button next to the flagged network card to automatically download and install the correct version of its driver (you can do this with the FREE version). 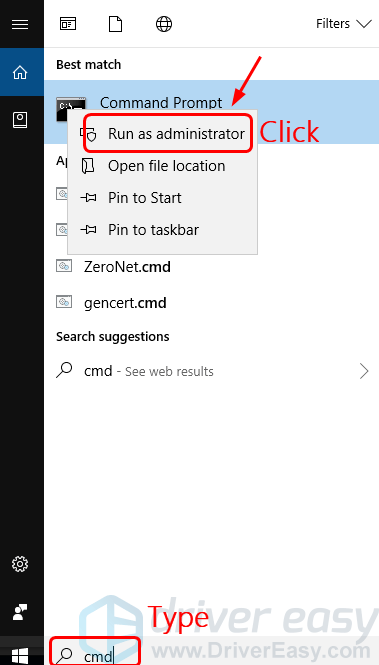 4) Restart your computer after the driver update. 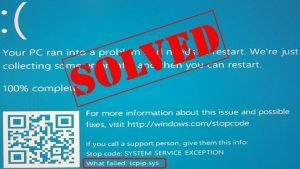 See if the tcpip.sys blue screen error happens again. Strange as it may seems, it works for a lot of users with the tcpip.sys blue screen of death error: disabling the web protection in your antivirus program. To do so, you may need to go to the manufacturer website for your antivirus program, and search for the instructions accordingly. If you need help, feel free to let us know what antivirus app you’re having and what assistance we can offer to help.